After the water damage has been mitigated, the mold removed, and the fire cleaned up, the reconstruction process can begin. At Faithful Disaster Restoration we are capable of handling your entire loss from start to finish. There is no need to use two separate contractors to cleanup the mess and then restore your property. 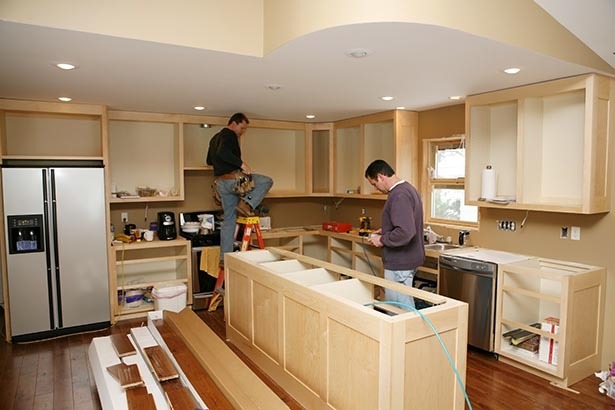 We make the process as simple as possible for our clients to completely restore their homes. Our in-house reconstruction team is fully qualified and experienced to provide the highest quality repairs and reconstruction services for your property. As a restoration company, we deal with these types of repairs every day, so we know how to quickly repair your property without cutting corners or sacrificing on quality. The mitigation process is only part of the restoration of your property, and many people are shocked to realize that after the mitigation process is complete, they may need to coordinate with multiple companies just to have their home or business repaired and restored back to its pre-loss condition. Faithful Disaster Restoration provides full mitigation and reconstruction services and offers complete solutions for homeowners and commercial property owners faced with damage to their property. By providing a single point of contact throughout the restoration process we are able to simplify your insurance claim, streamline scheduling, and ensure your property is restored as quickly as possible. When you choose Faithful Disaster Restoration to handle your water, fire, mold, or storm damage repairs, our experienced team will make sure you always know what’s happening with your property. We will walk you through the process and keep you informed along the way, and will coordinate with you to schedule repairs at a time that is convenient for you. Because we provide in-house repair and reconstruction services, we can be confident in the quality of the service that we provide to our clients. We will restore your property back to its pre-loss condition or better. Contact us today!